Comment: Would like to replace old wood deck with stamped concrete design with fire pit and seating wall around pit. Need demolition/disposal of old wood deck. Additionally, I am also considering replacing driveway with brick design with a foot or two extra on the sides. Comment: The edge between my garage floor and the driveway has a large hump to get into the garage. This is the same at the end of the driveway. I would like to see if I can have that gap filled. Comment: My front walk and stoop have settled considerably. I think it is due to chipmunks tunneling under the stoop. I need to find out my options and get estimates. 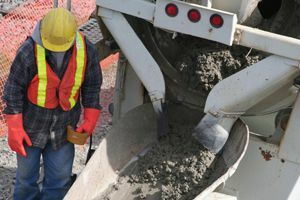 Gurnee Concrete Contractors are rated 4.78 out of 5 based on 716 reviews of 44 pros. Not Looking for Concrete Contractors in Gurnee, IL?